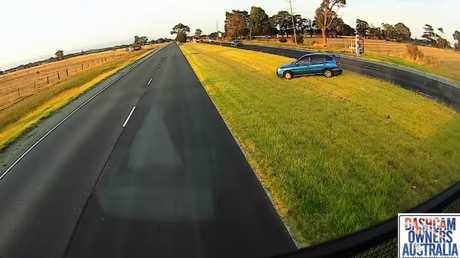 Alarming footage has emerged online of a hatchback pulling out in front of a truck on a busy Melbourne road. Picture: Dash Cam Owners Australia/ Facebook. ALARMING footage has emerged online of a hatchback pulling out in front of a truck on a busy Melbourne road. 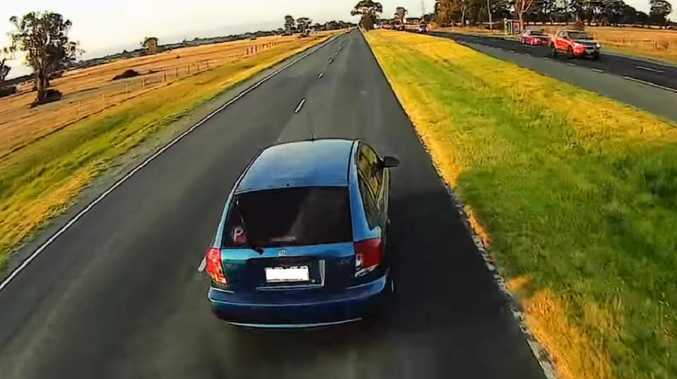 The video, published to Dash Cam Owners Australia, has attracted thousands of likes and hundreds of shares after being posted on Monday night. The truck quickly approaches the car and appears to attempt to stop. Picture: Dash Cam Owners Australia/ Facebook. 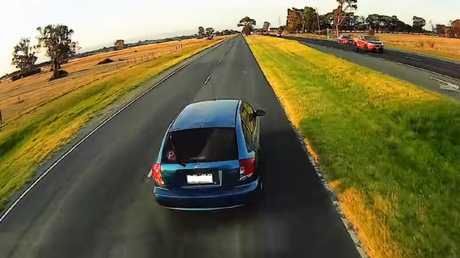 In the video a blue hatchback, with a red P-plate on the rear window, is seen turning from Glasscocks Rd into the right hand lane of Frankston-Dandenong Rd, Lyndhurst. A truck, also travelling in the right hand land, appears to slow down for the car but cannot avoid smashing into the rear. 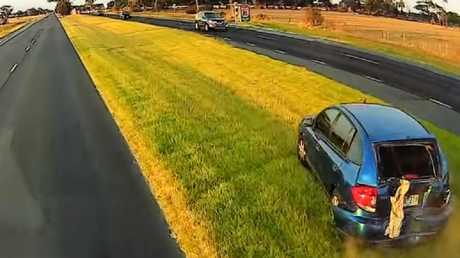 The hatchback is pushed off the road into the centre median strip, braking before coming to a rest on an angle. Remarkably the car does not roll in the process. The video shows some damage is caused to the hatchback's rear. The dashcam vision shows the incident took place last Wednesday just before 7am. 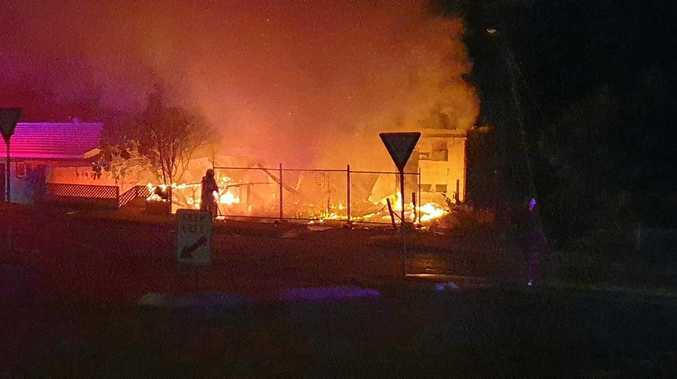 It's unclear whether anyone was injured in the incident. The blue hatchback gets pushed off the road. Picture: Dash Cam Owners Australia/ Facebook. The car comes to a rest on the median strip. Picture: Dash Cam Owners Australia/ Facebook.